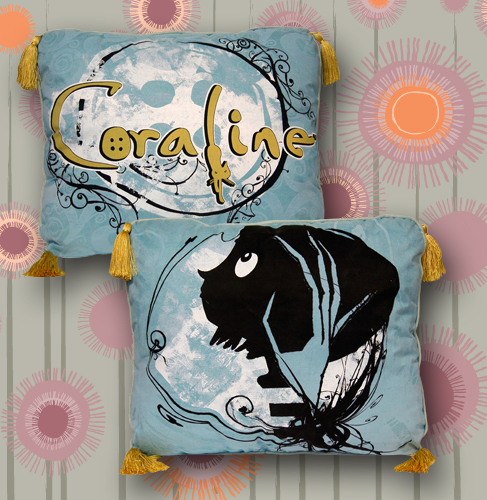 This plush throw pillow from Coraline is the perfect accent (and conversation) piece! The fun and spooky graphics are printed on light blue sueded fabric, and finished with piping and tassels at the corners. Throw pillow measures approximately 14×16″. Made from 100% polyester; spot clean with a damp cloth.